It has disbursed 89% fewer grants than SIBR since 2000, in response to WalletHub knowledge analysis, although STTR boasts the next acceptance price (21%) and a better common payout ($161,000). 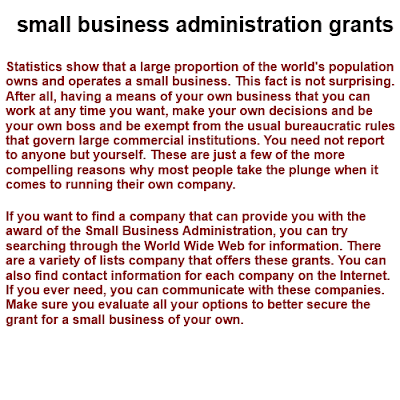 Rural Business Enterprise Grants: Awards from $10,000 to $100,000 can be found to non-profit teams working or planning entry into rural markets. The goals are to increase jobs, cut back vitality use, and/or reduce greenhouse fuel emissions via the elevated adoption of renewable vitality and energy efficiency technologies throughout Ohio.